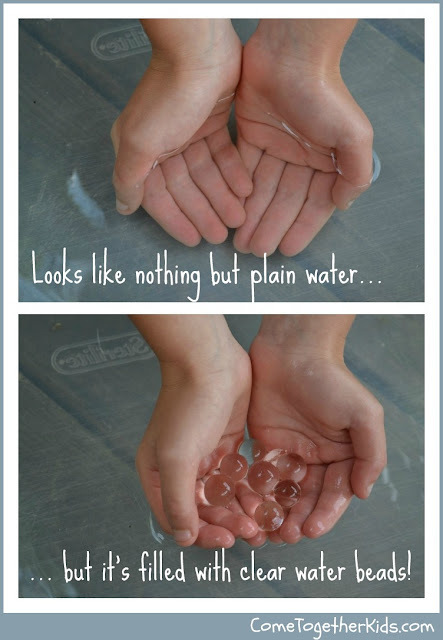 For quite a while now, I've been seeing posts on some of my favorite kid-centered blogs about water beads. While they looked like fun in sensory tubs in preschools all over the country, I was afraid my kids might be a little too old for them. I was wrong. I picked up a couple containers of clear beads at the dollar store and my kids got the biggest kick out of them. As I mentioned, I used these clear water beads that I found in the dollar store. (They were in the floral section near the vases and floral foam). However, you can also find the dehydrated beads in tons of different colors at many craft stores ~ JoAnn's, Michaels, etc. ~ or online. You just have to put them in a container with some water and they will absorb the water and get much bigger. This was a great lesson for me, but one that I should have known. So many activities that we think are geared to younger children, can be just as fun for the "big kids" as well. (and so many "big kid" activities can easily be adapted for the little ones with proper supervision.) I'm sure I'll be picking up more of these beads for the kids to play with over the summer. For lots of great info on water beads from an amazing preschool teacher, check out Deborah's really informative post here at Teach Preschool ~ The Wonderful World of Water Beads. They look just like "Orbeez", but much cheaper. Thanks for sharing! 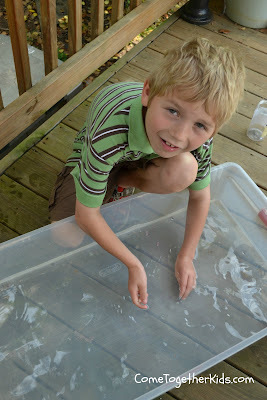 We had the clear water beads and they looked really cool when we added a little food coloring to the water! My kids LOVE these things. I totally agree with your comment about the ages. So many times, we are pushing our kids out of their childhood because that's what society says. I say, let them stay young and blissfully enjoying the simple pleasures. Ohhh yes! 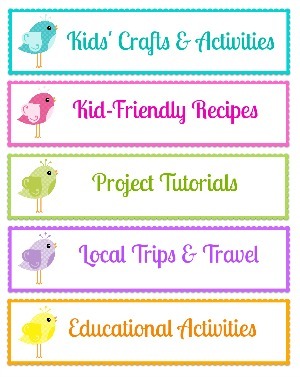 What a fun way to enjoy summer keep those kiddos busy! Great idea! Thanks so much for mentioning our post! Water beads are so fun! 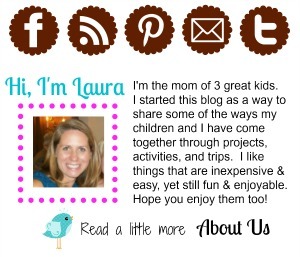 Hi there, I featured one of your projects on my blog. If it’s not ok with you, let me know and I will remove links and pics asap. Do the clear ones like you bought get bigger in water? The ones I got did grow a little bit bigger when we left them in the tub of water, but the change wasn't as noticeable as with the ones that were dehydrated ~ those REALLY get noticeably bigger. Can you reuse them? When they are done for the day, do you simply drain the water and store them for later use? I can't wait to try these with my 2yo daughter! Ava, yes, you can reuse them! If they're in a sealed container, they'll retain their shape. If you leave them out, they'll shrink, but will plump back up when you put them in water again. It sounds so fun! Gotta try it with my kids!